This happens when there are multiple ShareFile accounts associated with your email address. 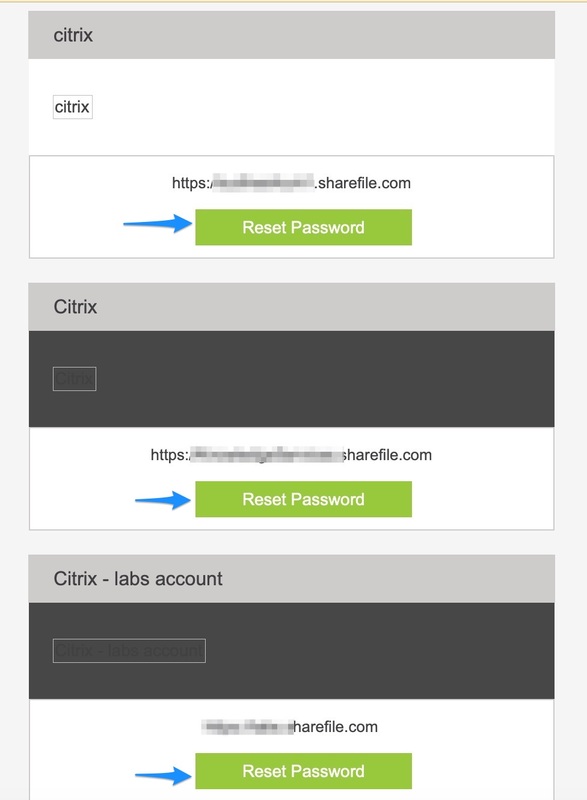 The login page is not tied to a specific ShareFile account and thus the system will match your email address to all associated ShareFile accounts, and these will be included in the password reset email. Click “Reset password” next to the account that you want to login to, and reset the password. This email will come from support@sharefile.com. You will receive a password reset email will be for that specific account. This password reset email will come from mail@sf-notifications.com. Follow the on-screen instructions to create a new password. Open [subdomain].sharefile.com and login using the new password.